I recently taught on the historical reliability of the Gospels and the historical evidence for the resurrection of Jesus. One of the areas I focused on was the apparent contradictions and errors in the Gospels, demonstrating how most of these are easily resolvable, and thus not contradictions/errors at all. But not all Biblical difficulties are so easily resolved. In fact, there are some for which I do not presently have a good answer. If you are a careful reader of Scripture, I’d bet there are Biblical difficulties you have encountered for which you lack a good answer as well. What are we to do with such difficulties given the doctrine of Biblical inerrancy? What should our posture be toward the Christian faith once having discovered irresolvable difficulties in the text? Some individuals respond by concluding that Christianity is not true. Some go so far as to conclude that God does not even exist! I submit to you that these responses are ill-founded; the result of elevating the doctrine of inerrancy to a status it should not be accorded in one’s theological taxonomy. While the Bible is an indispensable aid to our faith and Christian growth, an inerrant Bible is not necessary for the truth of Christianity, and thus the doctrine of inerrancy—and Bibliology in general—should be subservient to more central doctrines such as the resurrection of Jesus in our theological taxonomy. Let me explain. I believe the Bible is divine inspired and without error, and that Christians should hold to Biblical inerrancy, but this doctrine should not stand at the center of our belief system alongside doctrines such as the existence of God, the historicity of the person of Jesus, the incarnation, and the resurrection of Jesus Christ. While the latter beliefs are indispensable to the truth of Christianity, Biblical inerrancy is not. Christianity does not stand or fall on Biblical inerrancy, but rather on the existence of God and the resurrection of Jesus Christ from the dead nearly 2000 years ago. I am persuaded that an undue regard for the doctrine of inerrancy can actually be spiritually dangerous, for if one’s Christian faith is based on the inerrancy of the Bible, their faith in Christ will be in doubt every time they encounter some new Biblical difficulty. Indeed, I think many conservative Christians presuppose that if Bible could be shown to be in error, Christianity would be shown to be in error. There are at least two reasons, however, why this cannot be true. First, the Bible is a luxury graciously provided to us by God, not a necessity. There is nothing about the Christian faith that requires God to provide us with a written revelation. While He has chosen to communicate with His creation, nothing requires that He do so through a written medium. He could have chosen to use a combination of direct revelation and oral transmission as the only medium of His revelation. In fact, this is how the earliest humans knew God’s will. They did not have a Bible. The direct revelation of God was passed down from father to son generation after generation. This is how the first Christians came to know the Gospel as well. The revelatory acts of Jesus Christ were communicated orally for approximately 25 years before God inspired the first canonical account to be written. The early Christians did not preach to sinners (particularly Gentiles) that they ought to believe in Jesus based on some written document, yet alone based on the fact that some written document was without error. They preached that people ought to believe in Jesus because they experienced Him alive from the dead. People came to faith in Jesus based on the oral testimony of the early church that God acted decisively in history by raising Jesus from the dead to provide atonement and be the judge of the living and the dead. This raises an important point: If the claims of Christianity would still be true without any written record of the life, death, and resurrection of Jesus, then surely it would remain true even if the written record was found to contain errors! The truth of Christianity is based on God’s real activity in the person of Jesus Christ, not any written account of the same. The second reason Christianity would not be falsified by the mere presence of errors in the Bible is that sources of information need not be inerrant to contain truth. In fact, virtually everything we know comes from errant sources. Phone books are not inerrant, but no one concludes that phone books are worthless sources of information. None of us would throw away our phone book the moment we discover an invalid phone number! We still consider its contents to be trustworthy and useful. Neither do we require journalists to be inspired by God to write their articles, nor that their articles be inerrant before we trust anything they have to say. The same could be said of historical sources. Most historical sources contain errors, exaggerations, hearsay, and myth, but that does not cause historians to conclude that nothing can be known about history! Instead, historians use established historiographical principles to sift the truth from the error in the records, and use the trustworthy information to reconstruct the past. Similarly, if the Bible could be shown to be in error in some point(s), it would not follow that it must be in error in all points, and completely untrustworthy (As Mike Licona notes, given this reasoning it would be equally true that if we discover one thing to be true in the Bible, then we must trust that everything the Bible says is true. Clearly the latter is false, and thus so is the former.). The same historiographical principles used by secular historians could be used to sift the truth from the error in the Biblical accounts, and then we could use that information to construct a history of Jesus. The Gospels need not be inerrant to be trustworthy accounts of the life of Christ. I have argued that errors in the Bible could not falsify Christianity, so what could falsify Christianity? Christianity is rather unique among world religions in that it is based on the reality of God’s activity in history. It is not a philosophy, a way of knowledge, or faith for the sake of faith, but a theological understanding of certain historical events through which God has acted. The historical nature of Christian claims makes Christianity testable, and hence both verifiable and falsifiable. If the historical events described in the Bible can be demonstrated to have never occurred, or the accounts can be shown to be historically unreliable, then Christianity could be falsified. If, however, we can establish the historical reliability of the testimony preserved for us in the Gospels, we can establish the credibility of the Christian claims beyond reasonable doubt. Minimally speaking, then, if it could be proven that Jesus did not exist, that Jesus did not say/do what the Gospels report Him as saying/doing, and that Jesus did not rise from the dead, Christianity would be falsified. Conversely, if we have good reason to believe these four points are true, then we have good reason to believe Christianity is true independent of an inerrant Bible, or even in spite of an errant Bible. We do not need an inerrant Bible to demonstrate the veracity of the historical points just mentioned. We only need a trustworthy record of Jesus’ teachings, claims, and deeds from those in a position to provide us with accurate information. So long as the salient details of Jesus’ life, teachings, and resurrection contained in the Bible are accurate, that is enough to validate Christianity as being true. And we can demonstrate that the salient details of the life, death, and resurrection of Jesus Christ are firmly established as historically accurate using the standard principles of historiography employed by secular historians. You might be asking at this point, “What good is the Bible, then? Why is it so important to Christianity?” The Bible is important to Christianity because it is our primary source of information about how God has acted in history, and thus it contains the information necessary for someone to come to faith in Christ. It contains the same oral testimony of Jesus’ original disciples, but in a written format. Whereas those in Jerusalem heard the Gospel via John’s lips, we hear that same Gospel via John’s pen. While the Bible provides us with the information necessary to come to faith, our faith is not in the Bible itself, but in the God of which it speaks. Our faith is in the genuine existence of God and the resurrection of Jesus from the dead. If Christ rose from the dead 2000 years ago, the truth of Christianity is established regardless of the inerrancy or errancy of Scripture. If Jesus rose from the dead, then He is who He claimed to be: the Way, the Truth, and the Life. To ignore the overwhelming evidence for the resurrection of Jesus because of what we perceive to be Biblical errors is completely wrongheaded. It’s treating a written record of events as if it is more important than the events themselves. The reality of an event is more important than the accuracy of any accounts of it. Surely, if you had personally seen Jesus alive from the dead you would not give up your Christian faith even if you found 100 errors in the Biblical text. Why, then, should anyone give up his/her faith given the historical reliability of the Biblical witness to the resurrection of Jesus? I raise this issue, not because I think the doctrine of inerrancy is unimportant or even false, but simply because I know the reality of Christ’s resurrection is more important than an inerrant Bible. Furthermore, I don’t want anyone’s faith in Christ to be hindered or destroyed due to perceived errors in the Biblical text. Our faith should be grounded in nothing less than the resurrected person of Jesus Christ. It is in Christ that the truth of Christianity stands or falls, and thus the focus of our Christian faith should be the resurrected Jesus, not the inerrancy of Scripture. While there are Biblical difficulties I have not resolved, I am at ease with my ignorance because I know from experience that there is a long history of finding reasonable answers to apparent contradictions in the Bible, and I know faith in the God of Christianity is the only reasonable place to put my faith. This has practical application for evangelism. When talking with sinners or discipling new converts, there is no need to convince them of Biblical inerrancy right out of the gate. Indeed, if they come to faith based on their belief that the Bible is inerrant, their faith will be shaken every time they encounter a Bible difficulty. Instead, our initial focus should be on the general trustworthiness of the Bible as a reliable witness to God’s acts in history since that is all that’s needed to establish the truth of Jesus Christ and His resurrection from the dead. Once that foundation has been laid, then move on to divine character of Bible (prophecy, advanced scientific knowledge). Finally, end at inerrancy. Inerrancy is where we end, not where we begin, because Christianity does not begin with inerrancy, but with Christ. Hi Jason interesting points you make. Sometimes it was needful to validate the testimony of Christ by what was written in the ot scriptures such as what paul did. The Jews in this case searched the scriptures to see if what Paul was saying was true. A testimony of Christ was not enough by word of mouth they searched the ot scriptures to see if it were so. Even then for some what was written in the scriptures was important. I agree that all agreed the OT was authoritative, and I would go so far as to say that they also believed it was inerrant. But I don’t see how this contradicts the point I was making, which is that if there were some errors in the Bible, it wouldn’t mean that the Bible is unreliable, and more importantly, it wouldn’t mean that Jesus did not rise from the dead. If Jesus did rise from the dead, then Christianity is true whether we had no Bible, an inerrant Bible, or an errant Bible. What is your view/position regarding the idea that God can and DOES supernaturally preserve the Scriptures against the possibility of human error so that plenary inspiration, even against all odds, remains forever intact? How does human free will factor into that view/position? Jason, excellent post !! I totally agree with you and have always thought along these lines but this is the first time I have seen this expressed in writing which you have done in a clear concise way. I also do not feel that inerrancy is important where my faith is concerned. I believe I have matured in my understanding of the scriptures so as not to be so dogmatic and absolute about every little point where I can contently accept the fact that I don’t know it all and dare I say there are “mistakes” in the bible. That does not mean that I compromise the foundational truths which the bible has accurately revealed to us such as creation, Jesus Christ and the resurrection. I think many Christians stumble at “errors” because perhaps they do not understand the nature of inspiration. It is almost as if they believe God dictated every single word that we find written in the bible, so if there are any errors, then God could not have inspired it because God by nature does not make mistakes. It is this kind of reasoning that is faulty and that we need to mature and think critically about the nature of inspiration. Certainly God can communicate His thoughts to mankind regardless of any transmission errors that “we” might have. The error is always human in origin not from God. Even with these errors any student of the scriptures can say that the message that God has conveyed through man is clear enough for someone to find God and know the truth. Thanks again for a wonderful post. Merry Christmas to you and yours. Great post which brings up angles on the issue I honestly had not even considered. @Aaron. My view is that God’s inspiration extends to the very words of Scripture, and His superintendence of the human authors assured that they did not err in what they wrote, even though they were free in the writing process (God did not take over the use of their mind and hand as they wrote = divine dictation). If you are interested in seeing how I cash this out, see my article on inspiration at http://www.onenesspentecostal.com/inspiration.htm. @Naz. I do not hold to a divine dictation theory of inspiration (for most part of the text at least), but I do agree with the reasoning that if God inspired the text, it cannot contain error. If an error was discovered, what I would have to conclude is that at least that portion of the text was not inspired by God. 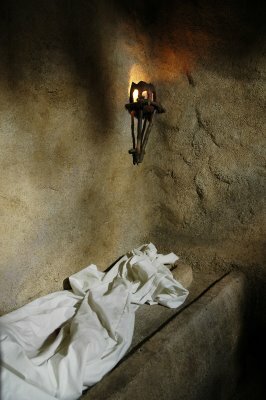 The point of my post was to say that even if the text is not inspired by God, and does contain error, that in itself is not enough to disprove Christianity since Christianity does not stand or fall on any written text–inspired or not–but on the historical event of Christ’s resurrection from the dead. @Philip…glad to have given you something new to consider. Great message Jason, I think that the only thing I would have liked to see added is one of those text that you felt was not yet clear or answerable yet, or one of those errors you spoke of. I think that Christians should be better prepared to deal with such arguments by their ministries and that would go a long way to help them avoid discouragement due to attack by atheist and others hostile towards Christianity who often use such information to attack Christianity. Thanks Danzil. I have been trying to start a series on harmonizing the Gospels for months, but to no avail so far. But once I do, it will address several of these passages. I always stick the the “Chicago Convention” (I think) on the inerrancy in that the originals are without error. Jason, what do you make of Paul’s teaching (1 cor 7:12) when he writes “To the rest I say (I, not the lord)… Should this be construed as “of the Lord” or “of man”?? This is actually a very powerful passage to demonstrate that the Biblical authors were careful to distinguish between what Jesus taught, and their own personal beliefs. They can’t be accused of putting their own thoughts on the lips of Jesus.